As part of the Gloucestershire Fire and Rescue service PFI bid we were asked design a new six appliance bay community firefighting facility and a new Life Skills Centre. Both to be operated individually but will have relatively complimentary uses. Combined with the Life Skills Centre a family of architectural forms and materials are developed to create a homogenous and intelligent solution thoroughly at ease and sympathetic to its environment. The street element is fully glazed with timber beams to take advantage of the solar energy harvesting that this site offers and to relate to the predominance of glass houses on the adjacent farms. This openness and inclusiveness is expressed at the heart of the design concept and is the key to establishing the development’s connection to the locality. It is important that the building engages with the community to justify its presence. 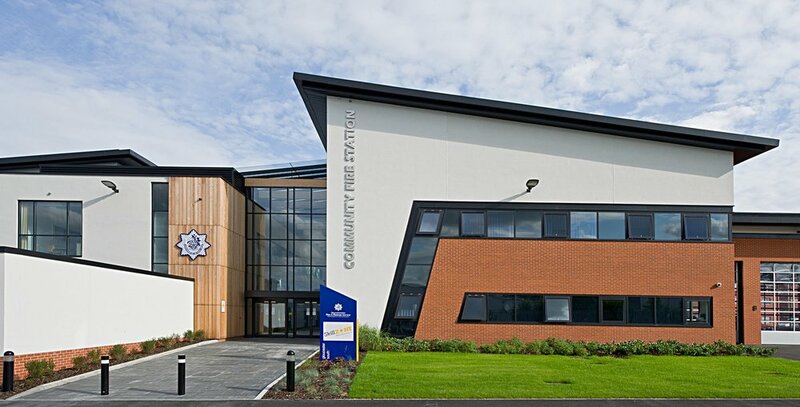 All these benefits, the building’s operational requirements and the local architectural language have been investigated, analysed, celebrated and adopted to create what, the design team believe will be an architectural celebration of a fire service which wants to embrace the community, is forward looking and in which the local community can be proud. 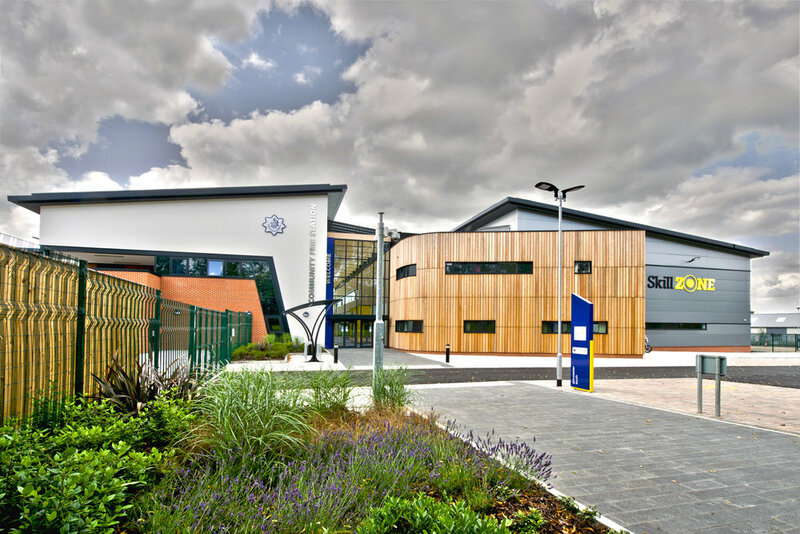 This project achieved BREEAM excellent. As part of the Gloucestershire Fire and Rescue service PFI bid we were asked to design a new six appliance bay community firefighting facility and a new Life Skills Centre. Both to be operated individually but will have relatively complimentary uses. Combined with the Life Skills Centre a family of architectural forms and materials are developed to create a homogenous and intelligent solution thoroughly at ease and sympathetic to its environment.